Use for jogging with children 6 months or older. 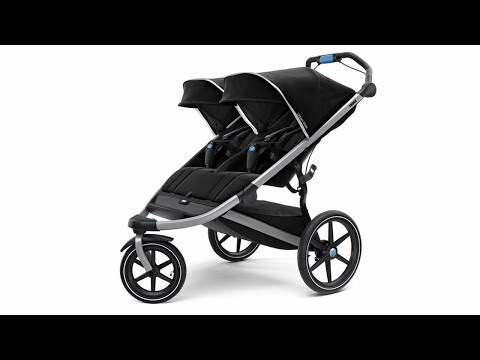 For strolling, children younger than 6 months must be in a car seat with the Thule® car seat adapter. (Only one seat adapter can be used at a time). Reflective detailing on the wheels helps keep you and your passengers visible. Peek-a-boo roof window lets you keep an eye on your passengers. 5-point padded harnesses offer security and comfort. Seat backs recline 165° to a near-flat position for naps.